This interesting video popped up on Verizon’s YouTube channel yesterday starring a new VZ Navigator product that they are calling Version X. No date or price was given for it, but it’s definitely trying to compete with Google Maps and every other big time navigation product. We’re not sure if it actually can compete, especially knowing that Google Maps can be downloaded onto any device for free and is always seeing significant updates, but we’ll applaud them for trying. It’ll be interesting to see what price point Verizon comes in at with this one. We should point out that the video only shows the DROID X and Incredible running the software, but we’ll try to hold off from determining that it won’t see any other devices. And we’ve listed out a majority of the features in this new product below, although you’ll want to watch the video to get the full experience. Carriers obviously feel like they can make money off of these products, but to die-hards like us, this just seems like a giant waste of money, doesn’t it? Your thoughts? Virtual City Driving: Enhanced reality driving with 3D buildings and graphics. Smart Start: Turn-by-turn directions from start, even inside a parking garage. Know Your “Where” Using Satellite Maps: Satellite views that move with you as you travel. Because You’re Always Mobile: Weather, gas, movies and local info around you is in real time. With VZ Navigator Smart Routes: Pick how you want to go – bike, walk, car or truck. Find Your Way Around Traffic: Traffic updates every 60 seconds from 1.8 billion probes. Check Out the Big Picture: Get a snapshot of your entire trip. Share Your “Where”: Place messages and Facebook status updates from within. 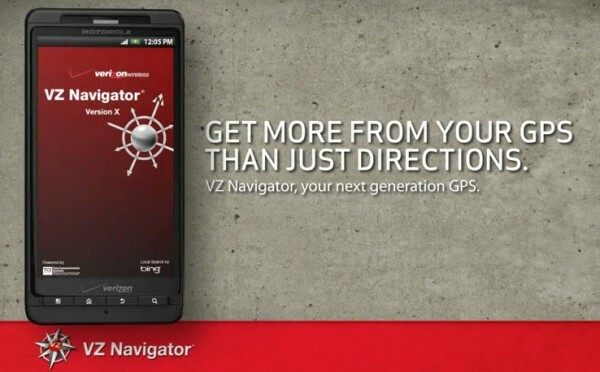 VZNavigator.com: Plan trips online and send them to your phone.